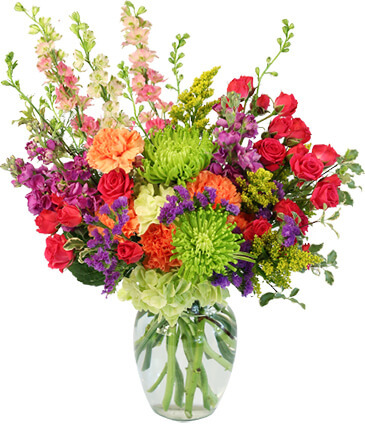 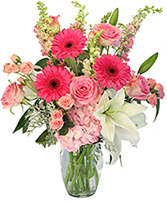 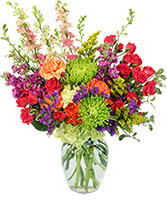 Containing your excitement just isn't possible with this vase of flowers bursting with glee in your midst. 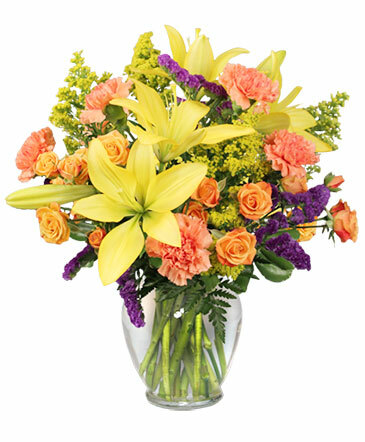 Bright yellow lilies make a statement against an assortment of orange spray roses and carnations and purple statice inside of a ginger vase. This show-stopping flower arrangement of lilies and roses is a fall delight to display on that special someone's table.